The U.S. Department of Labor (DOL) confirmed that neither it nor the Internal Revenue Service (IRS) would punish prohibited transaction exemption (PTE) violations by investment advice professionals who are fiduciaries working in good faith to comply with impartial conduct standards. However, the non-enforcement guidance in DOL Field Assistance Bulletin (FAB) 2018-02 issued May 7 left many retirement plan fiduciaries and practitioners more confused than ever as the agency’s years-in-the-making fiduciary rule was officially vacated the same day by a federal appellate court. The FAB said both DOL and the IRS will continue to rely on DOL’s previously announced temporary enforcement policy, pending the issuance of additional guidance by the department. From June 9, 2017, until after regulations, PTEs, or other administrative guidance have been issued, neither agency governing retirement plan administration will seek to discipline fiduciaries working diligently within existing impartial conduct standards set for transactions that would have been exempted in the Best Interest Contract (BIC) Exemption and Principal Transactions Exemption. Further, neither the IRS nor DOL would treat an adviser's failure to rely on other available exemptions as resulting in a prohibited transaction violation if the adviser satisfied the terms of the temporary enforcement policy, DOL said in the FAB. On May 7, the 5th U.S. Circuit Court of Appeals made effective its opinion vacating the entire DOL fiduciary rule, the BIC Exemption, the Principal Transactions Exemption, and related amendments to existing PTEs. In their place, the decades-old 5-part test for fiduciary status was reinstated. 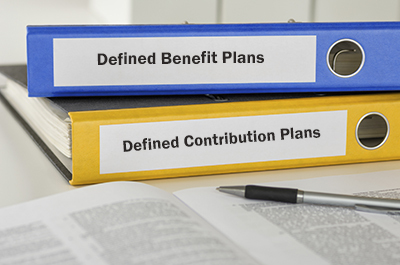 DOL recognized that this decision left a number of questions for retirement plan sponsors and administrators, and said it intends to provide additional guidance. For now, DOL indicated it wanted to provide guidance on the breadth of the PTEs that remain available for investment advice fiduciaries. But “[o]f course, with the Fiduciary Rule vacated, the number of individuals who may be investment advice fiduciaries will be significantly reduced,” said Wagner Law Group in a May 7 client bulletin about the new FAB. However, experts on retirement plan regulation said state regulators and private plaintiffs can still potentially bring an action for alleged non-compliance with impartial conduct standards. DOL noted in the FAB that the non-enforcement policy does not address the rights or obligations of other parties. While the risk of private litigation has been greatly diminished by the repeal of the fiduciary rule, institutions providing advice to Employee Retirement Income Security Act (ERISA)-covered retirement plans may still be liable for fiduciary breaches. “Although there generally is not a private right of action to enforce the prohibited transaction rules with respect to IRAs, service providers should be aware that the law is still unsettled as it relates to recommendations to roll over from an ERISA plan to an IRA,” said Groom Law Group in a May 7 client bulletin. The guidance also invites the retirement plan industry to seek new forms of PTE relief. DOL said it is evaluating other temporary or permanent prohibited transaction relief for plan fiduciaries, including possible prospective and retroactive versions. Many retirement plan industry participants writing about the DOL non-enforcement guidance registered confusion about it. “The FAB is somewhat difficult to understand. Once the Fifth Circuit takes action, there will be no rule or exemptions upon which to apply a temporary enforcement policy. The FAB's extension of the policy beyond [May 7], until after ‘regulations or exemptions or other administrative guidance has been issued,’ is confusing and, if true, will be contrary to the Fifth Circuit's decision,” Wagner Law Group wrote on the day of the FAB’s release and the final vacatur order from the appellate court.